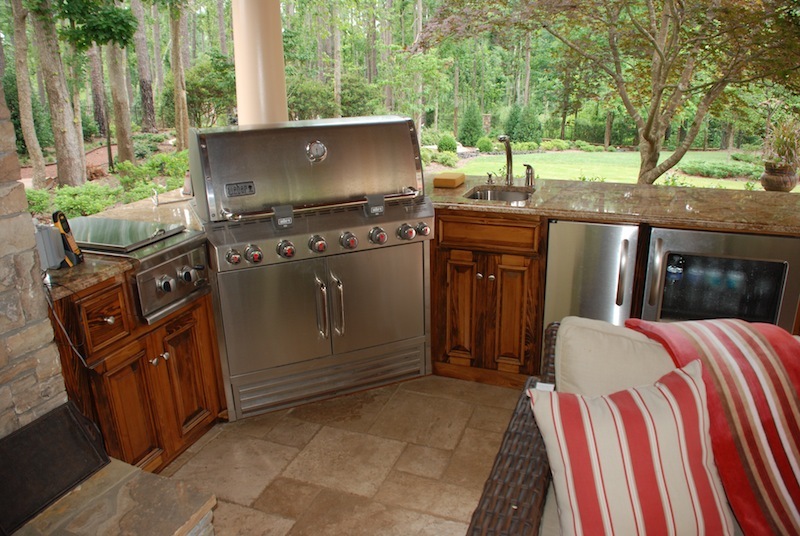 An outdoor kitchen is a desirable addition to any Atlanta area household, and something that can significantly increase not only the value of your home, but the enjoyment you get from your outdoor living area during the Spring, Summer and Fall months. Building a kitchen outside your home starts with a realistic wish list from the client and careful planning by the landscape architect. At this juncture, function and aesthetics are united into one which becomes the ingredients for a successful space that allows for both culinary necessities while providing for a unique dining and entertaining experience. Outside Landscape Group in Alpharetta will integrate the necessary details of the utilities & appliances for a seamless installation. Special considerations will be given to architectural control and circulation to and from the space to optimize function. 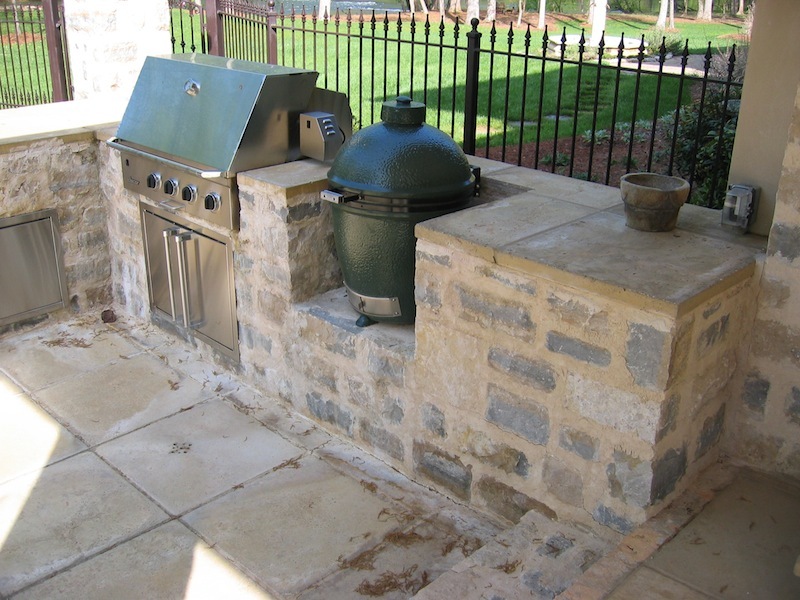 Want a Luxury Outdoor Kitchen Built to Your Exact Specifications? If you are considering an outside kitchen as a fun, economical, value-added addition to your home give us a call today, or contact us to learn more about how we can help you. 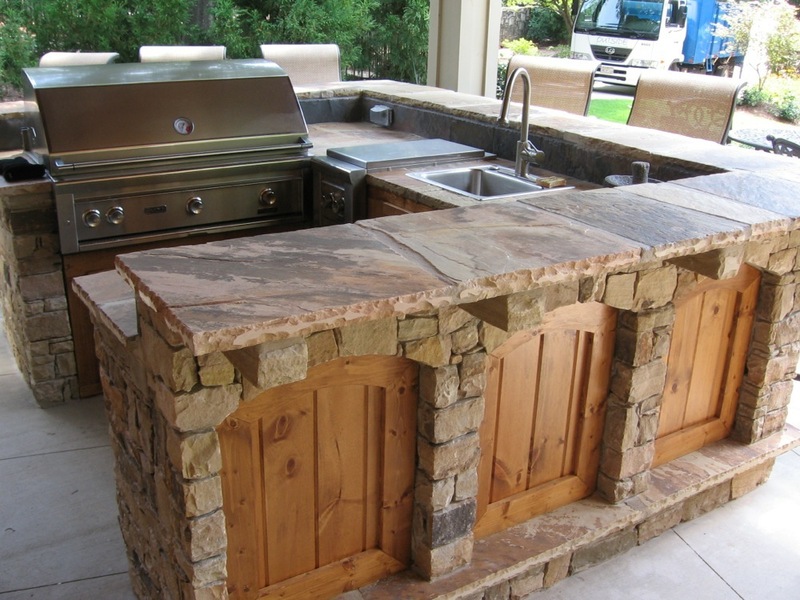 We look forward to discussing your outdoor kitchen wants and needs!